High quality care for patients seven days a week seems like a good idea to me. There is nothing worse than going round the ward on Saturday or Sunday and having to tell patients that they will get their essential test or treatment on Monday. It was stated in the Queen’s Speech this year that seven day services would be implemented in England as part of a new five-year plan. In England my Government will secure the future of the National Health Service by implementing the National Health Service’s own five-year plan, by increasing the health budget, integrating healthcare and social care, and ensuring the National Health Service works on a seven day basis. Work has started in pilot trusts. Of course funding is the biggest issue and details are sketchy. Some hope that the provision of weekend services will allow patients to be discharged quicker and so save money. 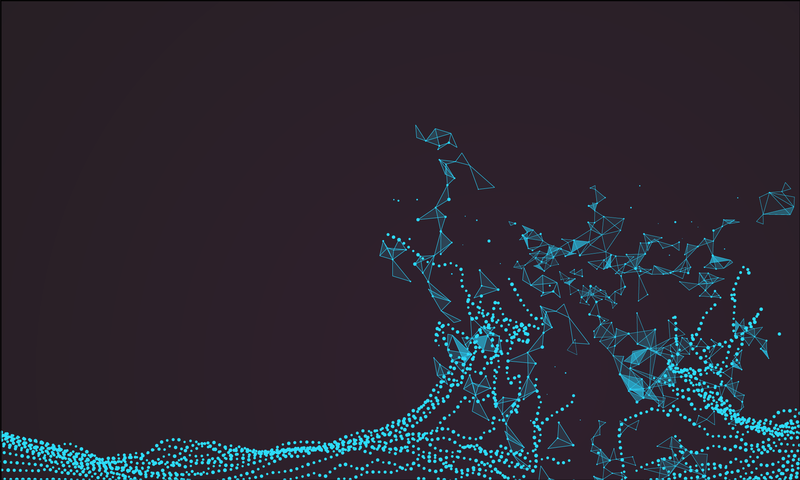 With the high capital cost of expensive equipment like MRI scanners, it makes financial sense to ‘sweat the assets’ more at weekends where workload is growing or consolidated across fewer providers. But that may be wishful thinking. The greatest cost to the NHS is staffing and weekend working inevitably means more staff. Expensive medically qualified staff at that. It is in this regard that the plan seems least developed: major areas of the NHS cannot recruit to posts at the moment. Emergency medicine and acute medicine for instance. Where are these weekend working individuals going to come from? 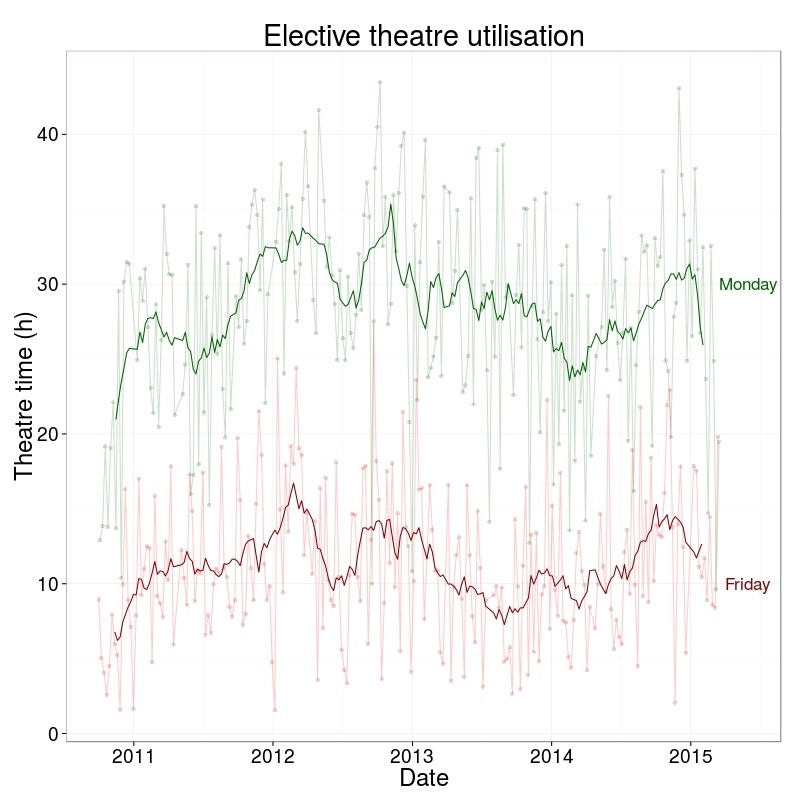 I thought I’d look at our operating theatre utilisation across the week. These are data from the middle of 2010 to present and do not include emergency/unplanned operating. 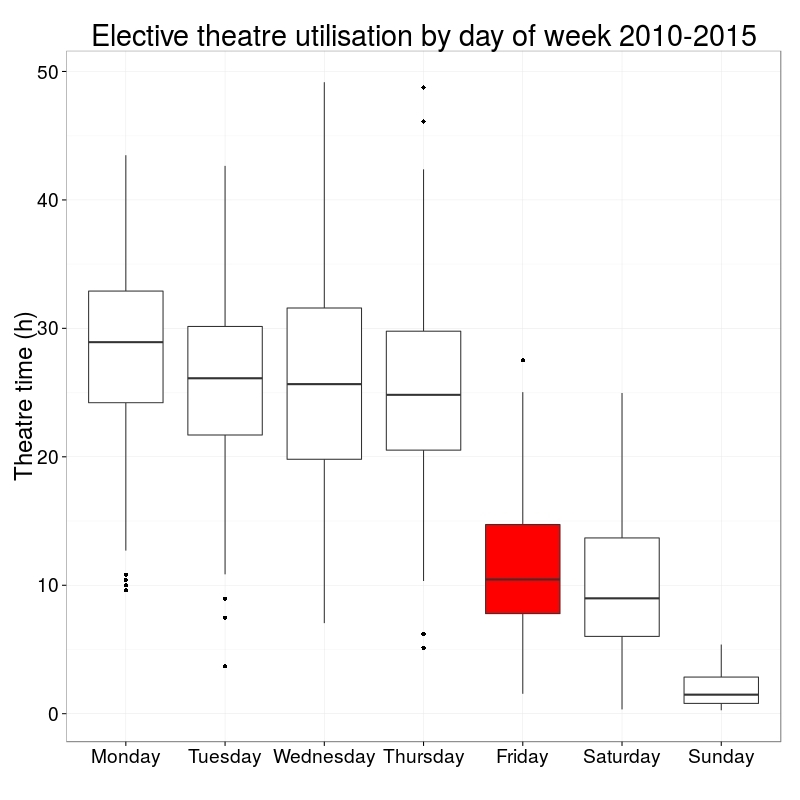 The first plot shows the spread of total hours of operating by day of the week. How close are we to a 7 day NHS? I don’t know why we are using are operating theatres less on Fridays. Surgeons in the past may have preferred not to operate on a Friday, avoiding those crucial first post-operative days being on the weekend. But surely that is not still the case? Yet there has been no change in this pattern over the last 4 years. Here’s a thought. Perhaps until weekend NHS services are equivalent to weekdays, it is safer not to perform elective surgery on a Friday? It is worse than I thought.